Height/Weight: 5' / 105 lbs. Meet in battle(generic): Ima rain stars on you! 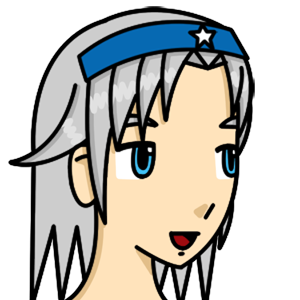 Cheery klutzy girl that loves using star magic for flashiness. Gets excited quite easily when around her older sister Mil. 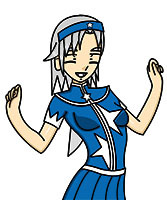 A klutzy loving sister of Mil, tends to favor tossing stars to liven up Mils mood. Tends to be clingy to Mil when near her. 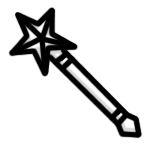 Magical wand with seemingly limitless energy, great at a distance and in the air, though very fragile.